Fight mosquitoes with the ONLY CERTIFIED PROMO REPELLENT! 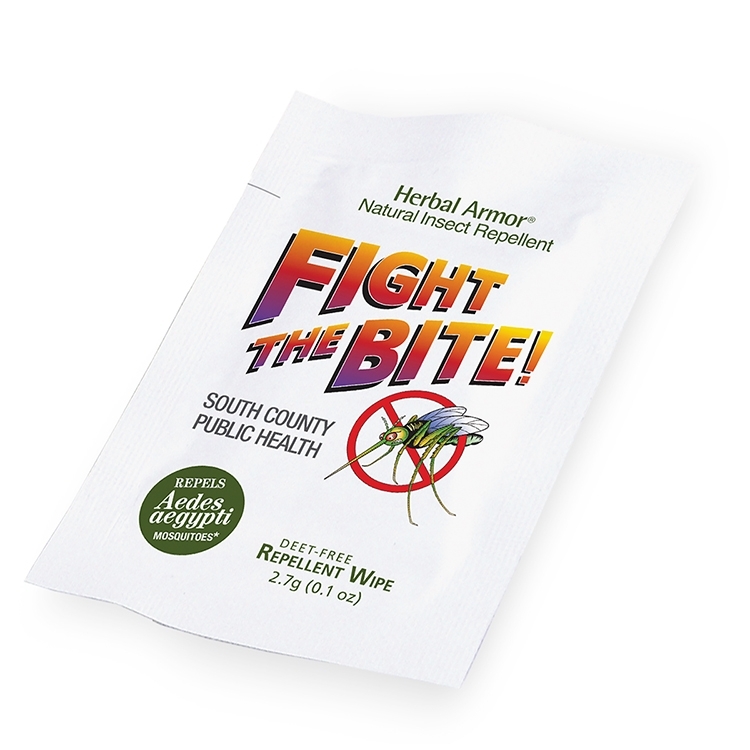 Herbal Armor® Insect Repellent has been PROVEN TO REPEL Aedes Aegypti mosquitoes 100% for two hours and 95.8% for three. Using six natural repelling oils, it is the #1 natural, DEET-Free insect repellent to keep bugs away. Allergy tested and non-irritating, Herbal Armor® repellent is sweat resistant for active lifestyles, and good for kids and those with sensitive skin. Won't damage clothing or equipment like DEET repellents. Direct imprint is on pouch. $50.00 (v) set-up each color.